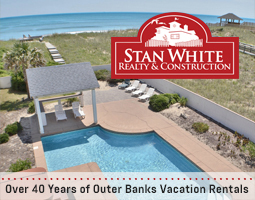 There are thousands of Outer Banks vacation rental homes in all different shapes and sizes. You will find everything from oceanfront mansions that sleep 30, to affordable one bedroom condos. Our Outer Banks Vacation Rental guide shows you what rental companies have the beach house you are looking for. The Outer Banks busiest message board with great information on your favorite area. Ask questions, get answers and talk about OBX. With thousands of members, the OBX Connection message board is a fun and informative forum! My sister is there and reporting to me that the cable is not working. Anyone hear anything about this? Read reviews of the best (and worst) Outer Banks restaurants on OBX Connection. See pictures, check menus and get directions quickly and easily. 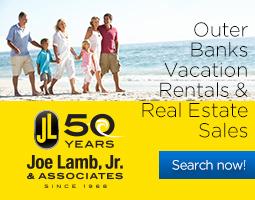 If you are looking for great information on an Outer Banks Restaurant, we can help! There are many excellent Outer Banks webcams from Corolla to Hatteras Island. You can see the beaches, the ocean and even several fishing piers and lighthouse web cams. There is nothing like being on the Outer Banks in person, but our OBX web cams can help you feel like your here, even when you're far away. Live streaming video of the surf from Jennette's Pier, located in Nags Head, NC. this is a great Outer Banks webcam and shows why the OBX is a great vacation spot! Streaming webcam located on the Avalon Pier in Kill Devil Hills, NC on the Outer Banks. This webcam includes sound of the surf, so turn down your speakers if you're at work! A great streaming webcam from Corolla Light in the northern part of the Outer Banks. This is a full motion video feed with a very clear picture of the beach and the surf. What Is The OBX Connection? 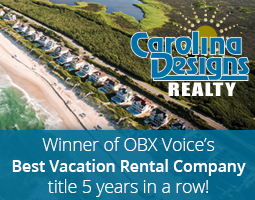 The OBX Connection is a site dedicated to everything you love about the Outer Banks of North Carolina. We strive to be more than just an Outer Banks directory; we are a community site for vacationers and locals to come together and discuss their common passion for the Outer Banks. The OBX Connection site offers more than just a Outer Banks Vacation Guide. You can read restaurant reviews, look through thousands of Outer Banks news articles from multiple sources, view webcams, find seafood recipes, read Uncle Jack's Weblog, participate in the message board, and even play the OBX Connection game. Please enjoy the site and feel free to participate in our little Outer Banks Internet community!